When you subscribe you will immediately receive a free copy of Lisa Miller’s eBook, Why Having Fun Is Vital For You and Your Pets and a free monthly subscription to The Official Petie e-Magazine . 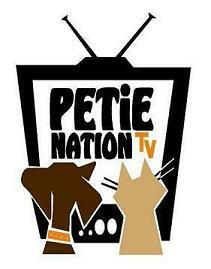 Now you can enjoy reading her popular monthly e-magazine entitled; The Official Petie e-Magazine which is published monthly to bring you innovative ideas for pet fun, family entertainment (and more) in every issue. You’ll have instant access to simple solutions that support you in keeping your dog and/or cat entertained and happy while you’re at work (or out running errands) or at home. Keeping your pet busy will rid pet boredom curving unpleasant behaviors which can occur when pets are lonely, bored and frustrated.